On Tuesday May 18th, the Commission’s Digital Agenda will be released. This important document will define the European Union’s future policies on the Internet and other communications technologies. A leaked draft showed that major policy orientations remained to be arbitrated in advance of the release. Although much of the document puts forward very sensible and positive proposals, potential mentions of dogmatic copyright enforcement and Internet filtering could be sneaked in the final document at the last minute. Will the rights and freedoms of EU citizens be protected? That last part means that Microsoft could implement an open international standard like ODF if it wanted to, despite being a proprietary software business. So far, it doesn’t do so in a way that really works, and the only obstacle I know of, as reflected in their remarks about Google Docs, is a lack of a desire to actually do so. The FFII‘s press release can be found below. That statement too makes it clear that Europeans are dissatisfied and wish to know which lobbyists are responsible for subverting a document which was intended to defend their freedoms, not the freedom of action for multinational corporations whose lobbyists (whom we named) took over the process. Brussels, 20 May 2010 — Yesterday EU-Commissioner Neelie Kroes disclosed her long-expected Digital Agenda for Europe. The Digital Agenda spans a 10-year period of upcoming European Commission policies in the digital sphere including ambitious regulatory initiatives. The FFII points out that her strategy document falls short on good governance and open standards. –Benjamin HenrionA “Digital Agenda Assembly”, an annual lobby-parliament to govern the agenda implementation, would be composed of delegates from the European Parliament and industry. The Assembly would bring them together to ‘assess progress and emerging challenges’ and receive input from a ‘High Level Group’ and ‘stakeholders’. 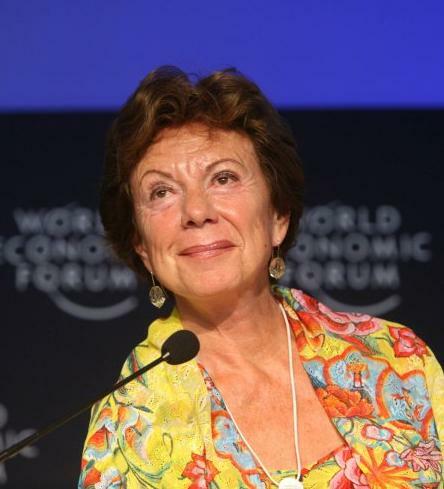 “Neelie Kroes feeds her ambitious Digital Agenda as raw meat to lobby groups. It is a carrot without stick”, warns René Mages from the Foundation for a Free Information Infrastructure (FFII). Mages continues, “The Commissioner undermines the dignity of the European elected representatives by setting them on equal footing with private interest representatives.” The FFII fears her governance principles would aggravate the trend to keep the backbone of the European ICT sector, small and medium-sized companies, from having significant influence in Brussels. The FFII is a not-for-profit association active in many European countries, dedicated to the development of information goods for the public benefit, based on copyright, free competition, open standards. More than 1000 members, 3,500 companies and 100,000 supporters have entrusted the FFII to act as their voice in public policy questions concerning exclusion rights (intellectual property) in data processing.